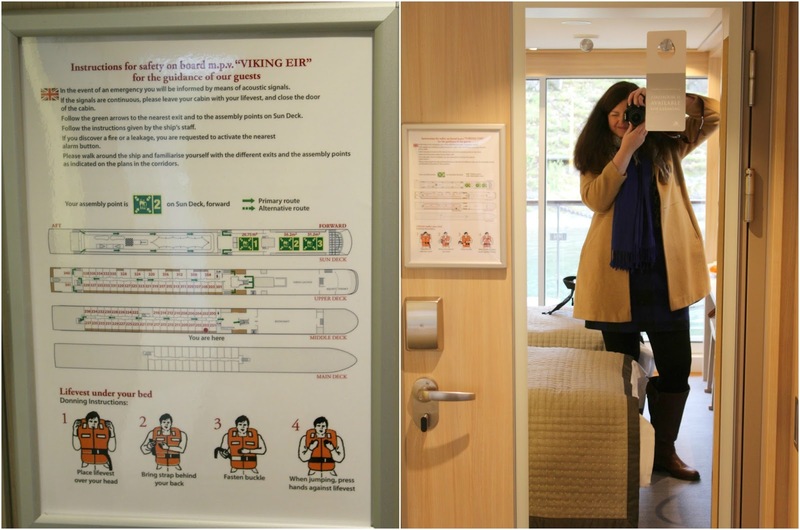 Today I am so excited to share about our Viking Eir stateroom because it was a lovely room that we definitely enjoyed. 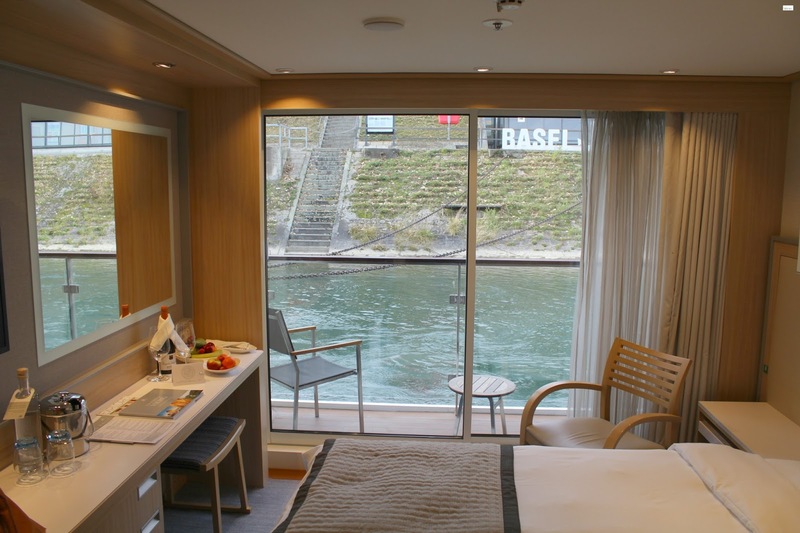 If you are scheduling a trip with Viking Cruises on the Viking Eir and are looking for a room, I hope that you will find this review helpful! 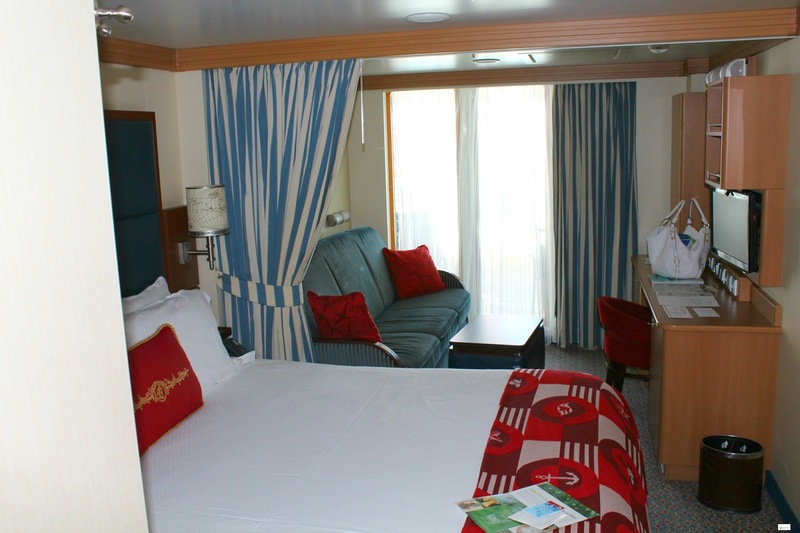 Viking Eir Room 203 is a Veranda stateroom B category. 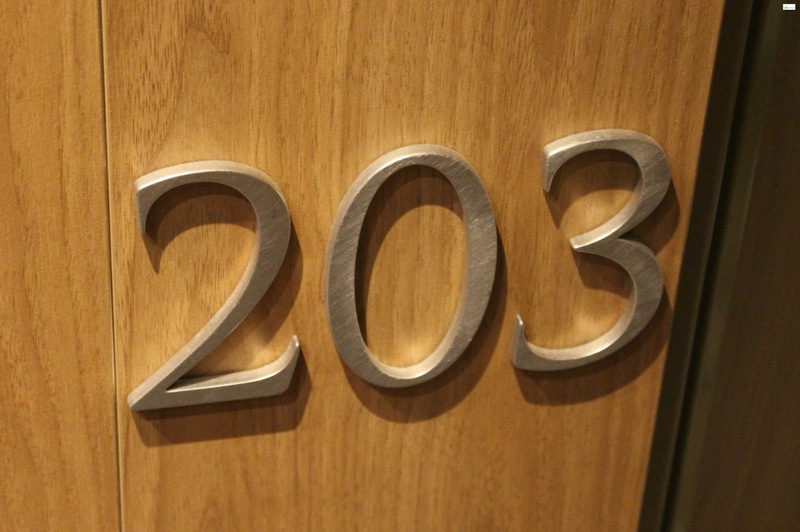 The room is 205 sq. 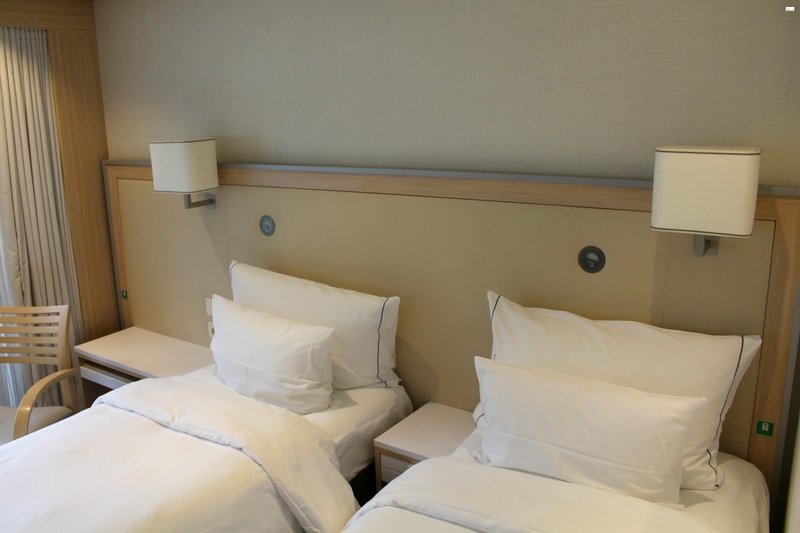 feet and comes with hotel-style beds (that you can request into a twin-bed configuration). 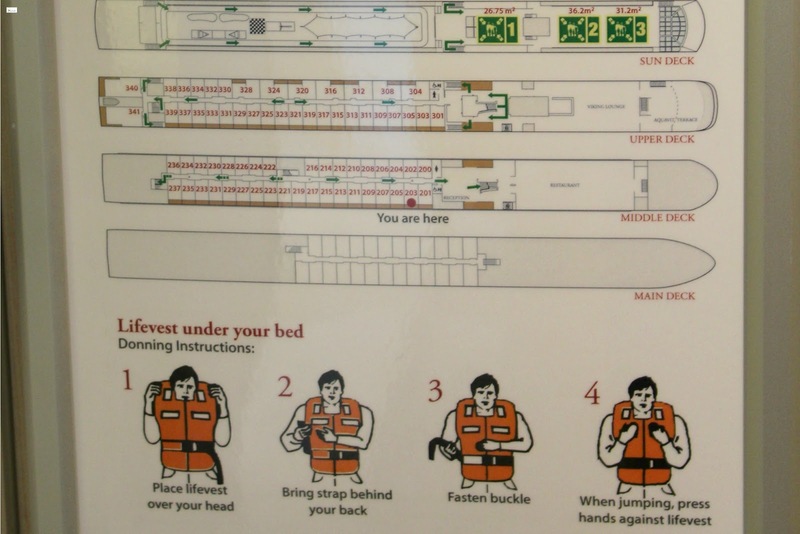 Room 203 (as you can see in the map below) is on the main floor (level 2 of the three level ship) and is the second stateroom on the left when you are coming in from the lobby and main reception area of the ship. Second, as you can see in the pictures the beds are in a twin bed configuration but were still so close together that when one of us got out of our beds we would knock the other bed. It was literally only a few inches separating the two beds. Some new friends that we made worked and worked to put more space between (by moving the beds) and were finally able to but others that I spoke with, were like us, and were unable to move them any farther apart. Just a heads up on that as many times with cruising when you have a twin bed configuration your mattresses are not touching but in this case that is not the situation you will encounter. Third, as I mentioned in my post about the most frequently asked questions about the cruise, was that the wifi in our room was not good. 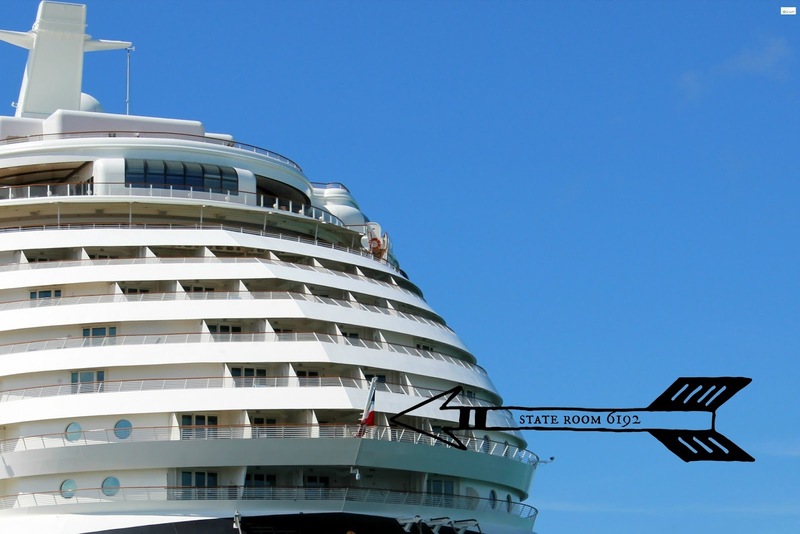 I spoke with tons of passengers on the cruise about this topic specifically and it did seem that those who were on certain third floor rooms had better reception than those on other floors. There is tons of room to fit even a full size suitcases (two of our full size suitcases and both of our carry-ons!!) fit under our beds which was wonderful because it allows you to get them out of the way after you have unpacked. We didn't watch any TV (there was no time because there was so many incredible things to explore and do!) 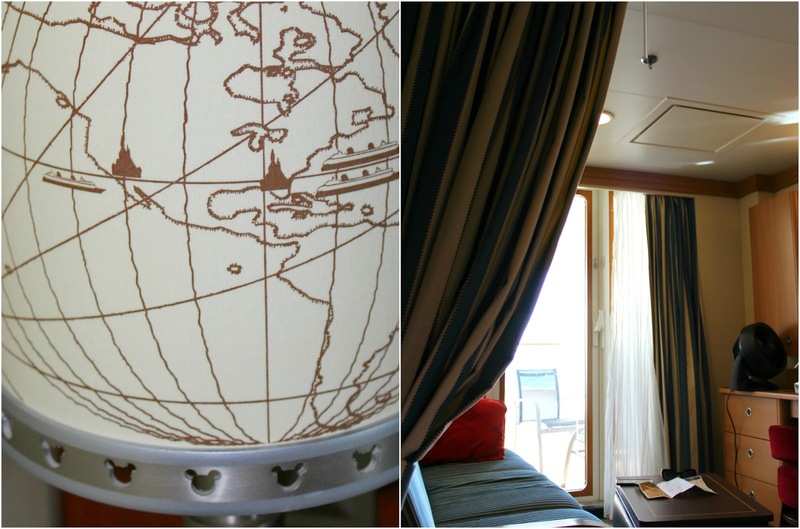 but one thing that we loved as we were getting ready in the mornings was the ability to interact with the maps, find out the up-to-date weather for the day, and we even had the ability to see a webcam from the front of the ship and connect into talks and activities that were going on in the lounge. 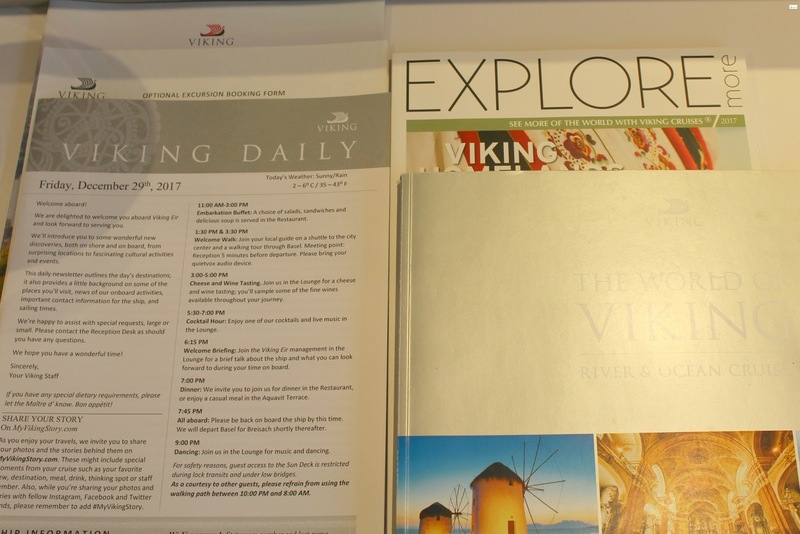 I loved this little but brilliant way that Viking kept you extra informed on the cruise without being intrusive. 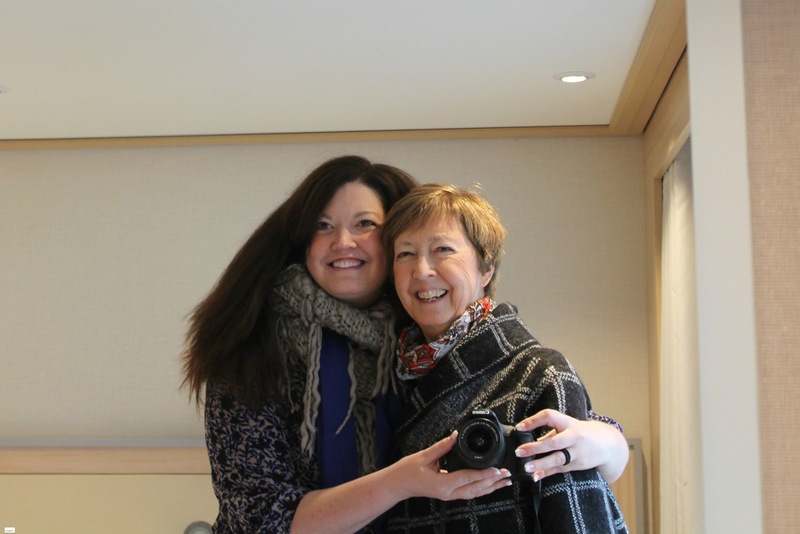 Several years ago I gifted my parents with a stay at a southern resort and my mom came back and wouldn't stop talking about the heated floors that the resort had. I laughed because I thought it sounded nice but didn't understand all of the hype. Well, shut my mouth y'all because after this cruise I can't tell you how many people I have talked to about the heated bathroom floors! Hahaha! 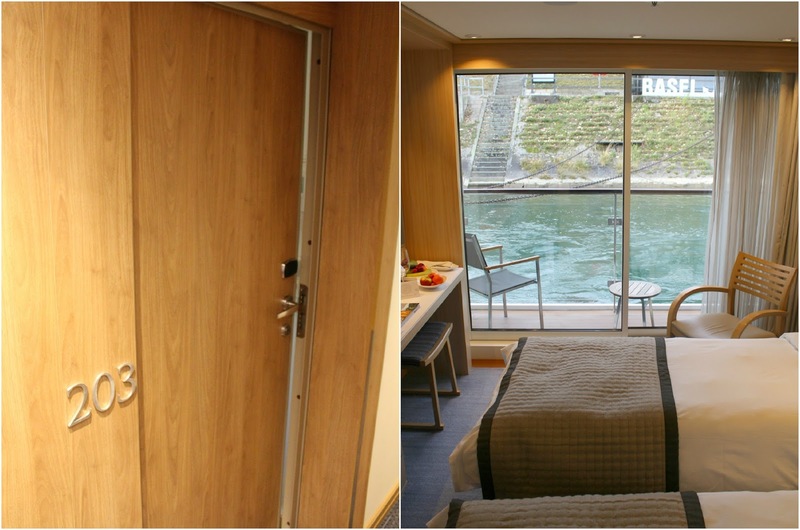 It would be lovely at any time of the year that you sail but during a winter cruise heated floors were something that just gave you an extra little gift. It was lovely! The water pressure in the shower was amazing and the shower was a great size! Often times in cruise cabins there is only a teeny tiny shower but this was a near full size shower and it was a wonderful treat with a bit of extra luxury for the room. 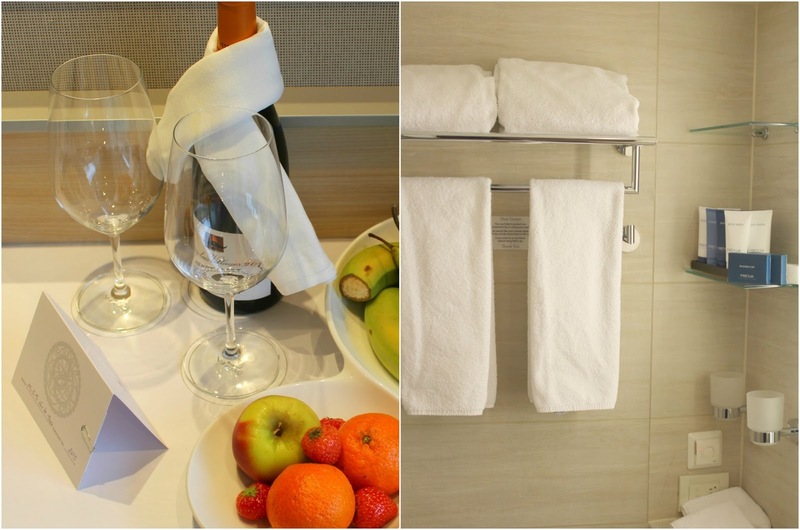 Many times in cruise cabins it can almost become a race to see who can unpack first (*smiles*) to make sure that you have enough space for your clothes and other belongings. 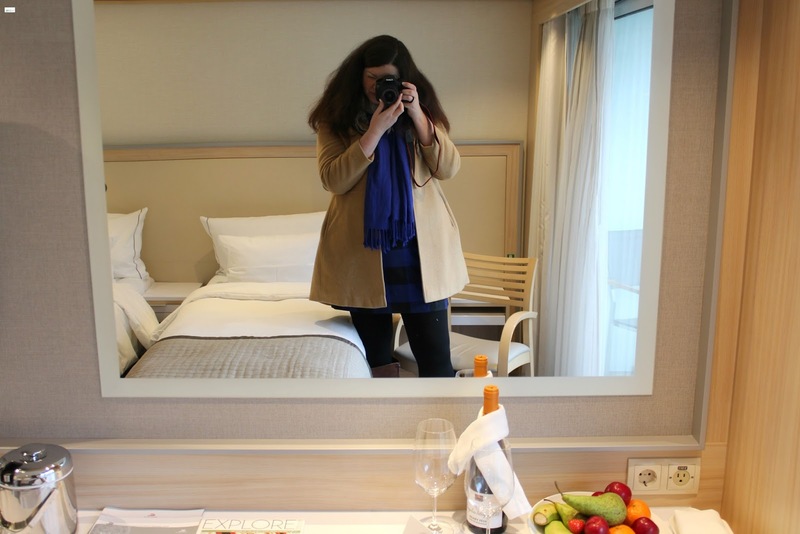 It was totally the opposite with this stateroom. There was so much drawer and closet space that everything fit perfectly with some left over space. There is also a mini-refrigerator in the room. We didn't need to use this but it was a lovely addition for those who may be interested. 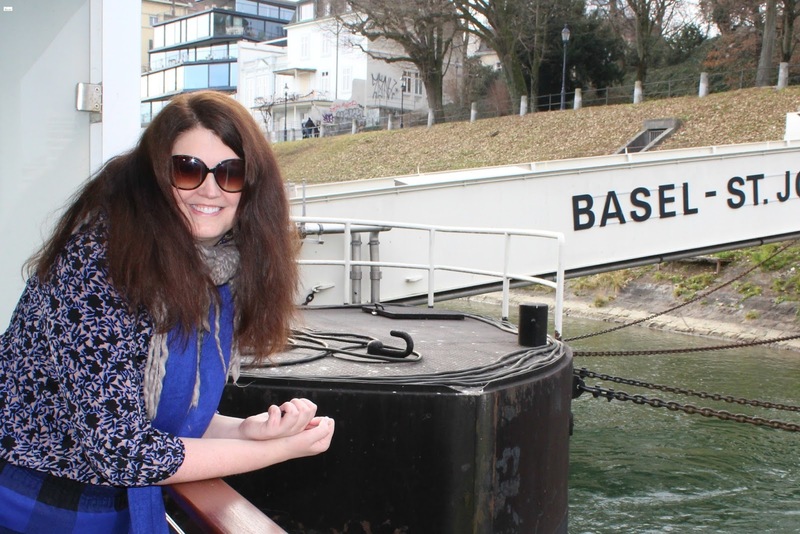 I know I have said on the blog that I wouldn't want to cruise again without a balcony (I am kidding- sort of- *smiles*), but I honestly wasn't sure if we would want one since it was a cold temperature cruise. I was wrong and totally stick with my original comment. *smiles* The balcony was lovely and we actually did spend a lot of time out there. One of the neatest experiences was on New Years Eve as we stood and watched all of the fireworks surrounding us. It was amazing and definitely one of my favorite parts of the room! 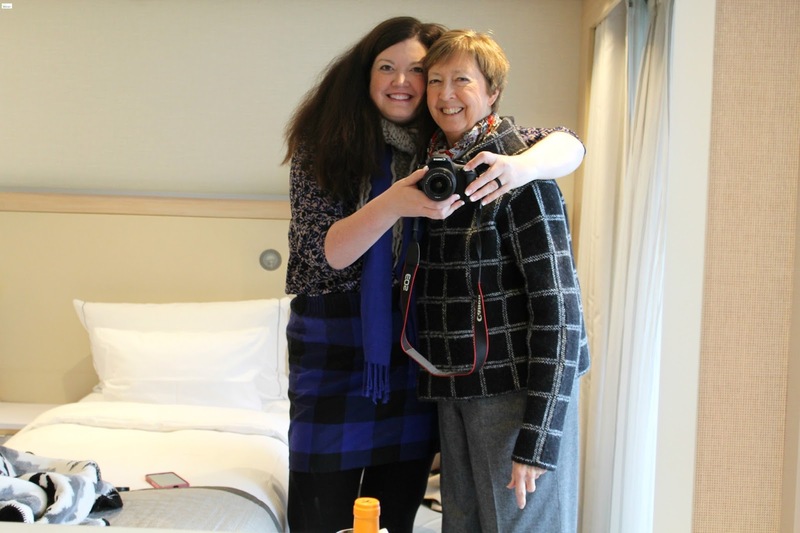 Girls everywhere on the ship were talking about the fact that we all loved that there are full-length mirrors in the staterooms on the back of the door. I can't tell you how many different cruises that I have been on where you can only see part of you at a time. This may sound silly, but it was brilliant and definitely a lovely aspect of the room. 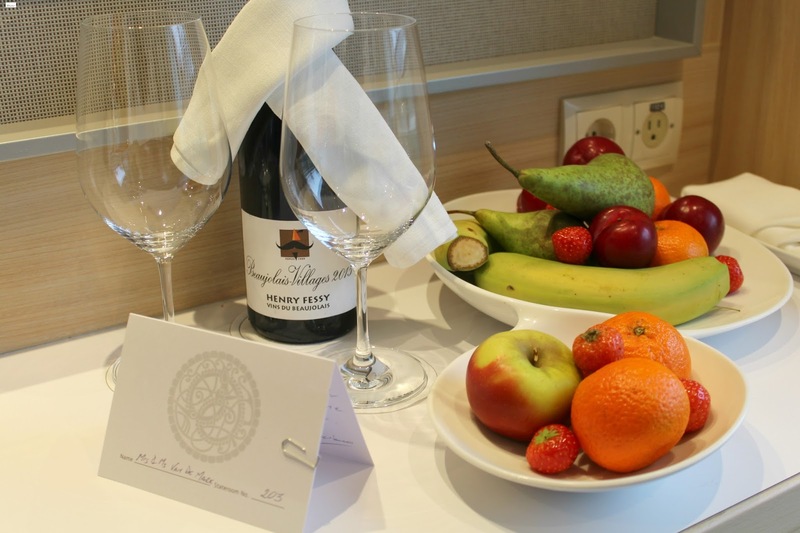 We loved the extra touch of receiving the fruit bowls and the bottle of wine, along with a handwritten letter in our stateroom. 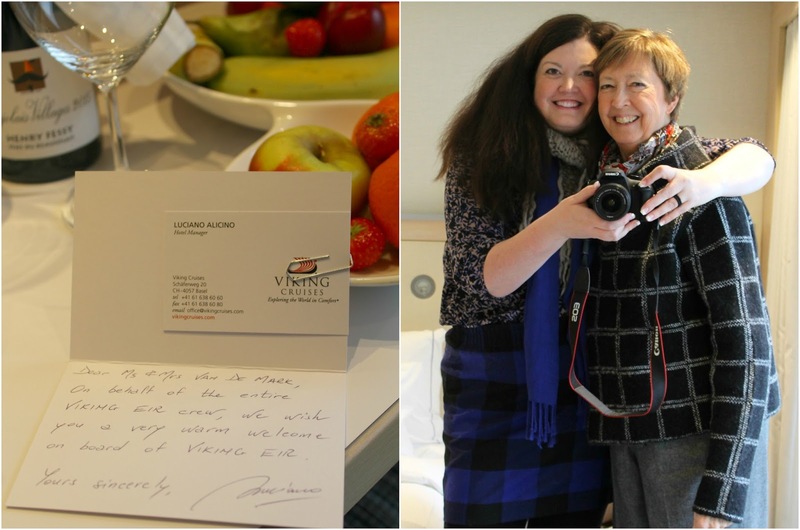 It was an extra touch that quickly showed us how Viking goes above and beyond in all of the little details on their cruises. 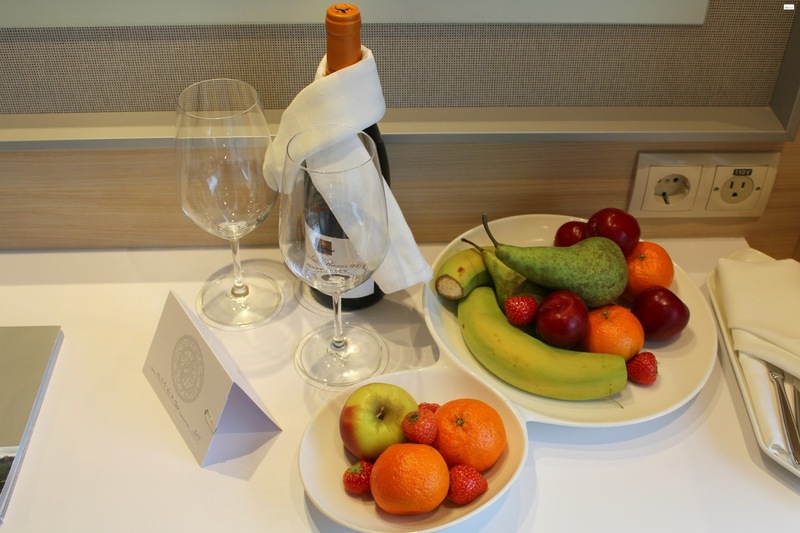 I mentioned in my frequently asked questions post about Viking Cruises that not only was their unlimited house alcohol but also unlimited bottled water. The water came in these beautiful glass bottles and it was delicious. When our stateroom attendant (Sara) heard we were water drinkers she kept bringing those bottles and we were never thirsty. It was wonderful! 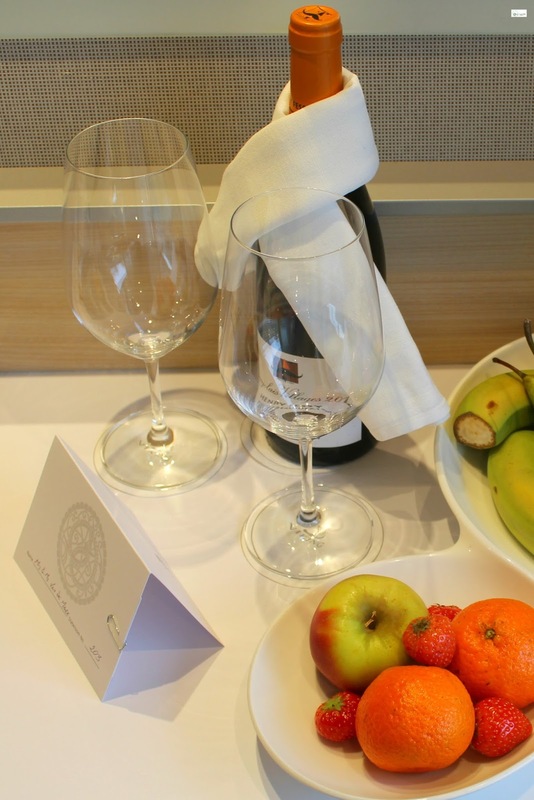 Our rooms were constantly kept clean, replenished with any and all supplies, and things were constantly prepared in a beautiful way. 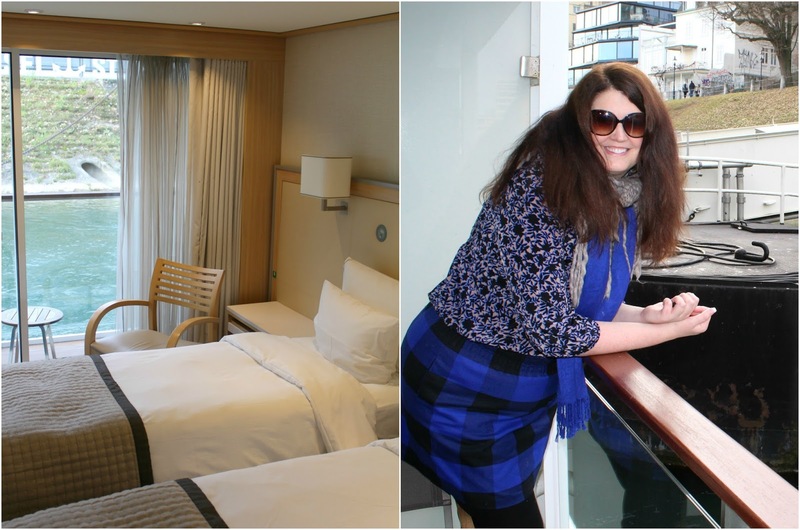 Sara, our stateroom attendant was amazing and we heard this from everyone we talked to about their stateroom attendants. We would be at a meal or out on an excursion and at least 2-4 times a day our room was attended to. I was amazed at how much time and attention to detail there was. One of my new friends shared that she had laid a bunch of her clothes out on her bed (to hang up and put away after dinner) and she returned to find everything neatly hung up or folded. It was just incredible. 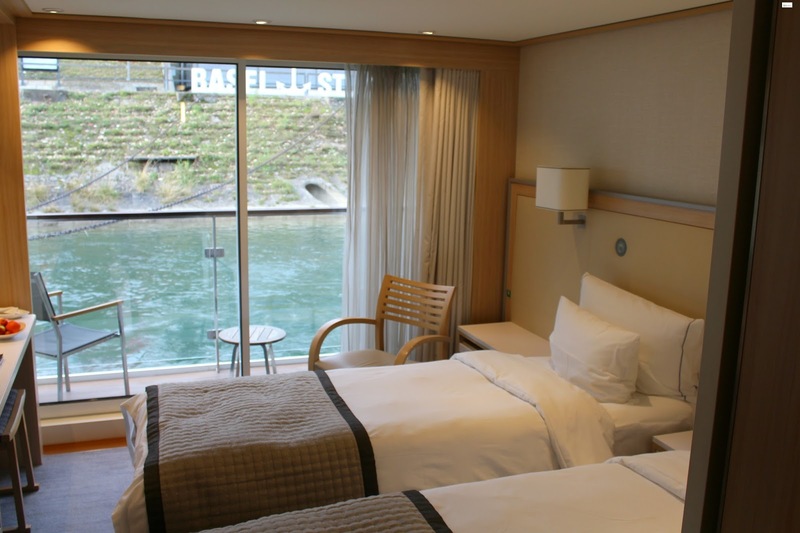 If you are interested in learning more about all of the different staterooms that are available on the Viking Eir (along with seeing a video of the ship) you can do so on the Viking Cruises website HERE. Also on this page are the exact details and breakdowns of the differences between all of the different rooms! Again, you can find the information HERE! 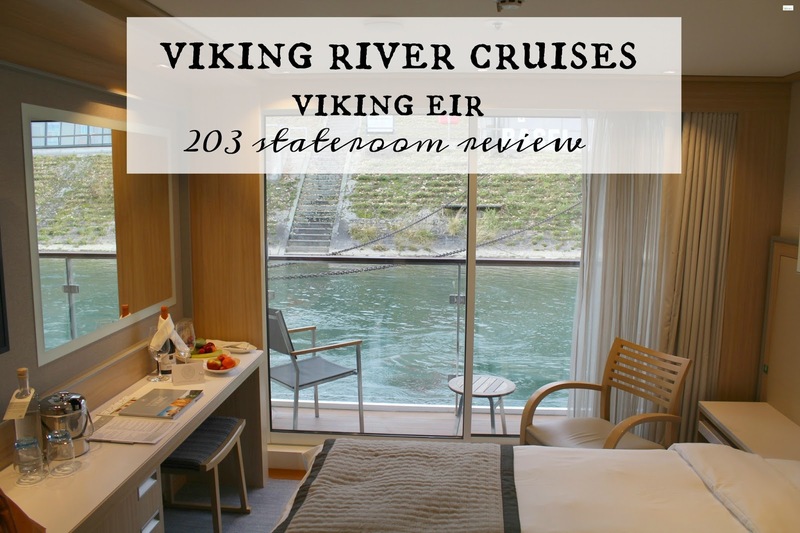 As I said at the beginning, Viking Eir Stateroom 203 was a lovely room and I hope that this review has been helpful! Please let me know if you have any questions! I would be happy to answer them! 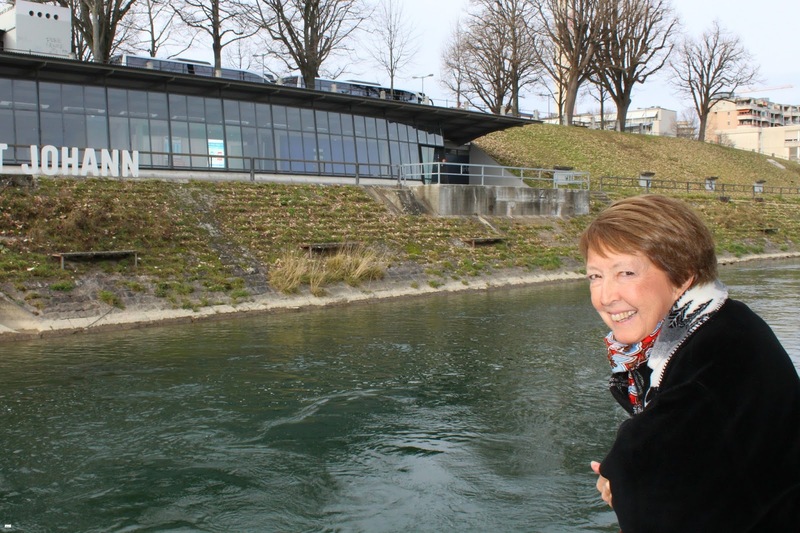 A HUGE thank you to Viking River Cruises who collaborated with Caravan Sonnet for this trip. All opinions are my own.